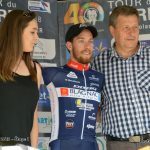 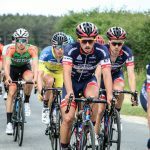 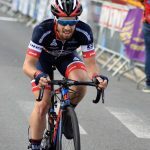 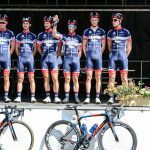 Home RoadMaxime Urruty from the French GSC Blagnac Vélo Sport triumphs in the 1st stage of the 40th edition of Tour du Loiret 2018. 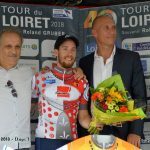 Maxime Urruty from the French GSC Blagnac Vélo Sport triumphs in the 1st stage of the 40th edition of Tour du Loiret 2018. 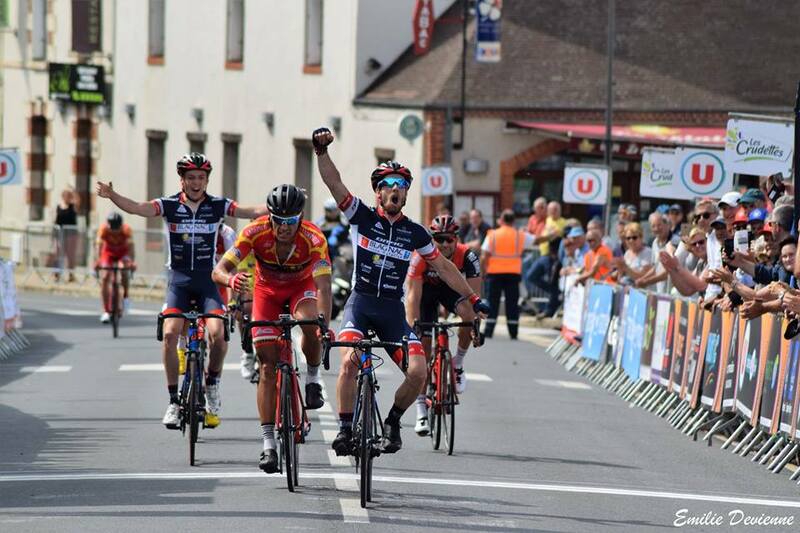 Maxime Urruty competing for the French GSC Blagnac Vélo Sport 31 team triumphs in the 1st stage of the 40th edition of Tour du Loiret 2018. 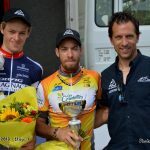 Maxime put on not only the yellow jersey – of the leader, but also the jersey for best climber. 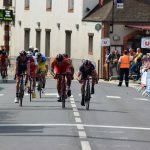 His teammate Stefan Bennett accompanied him on the podium by taking 3rd place. 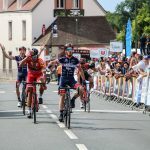 Congratulations to the whole team, cycling with Drag Bicycles Blue Bird ER and the manager Gaëtan Prime!